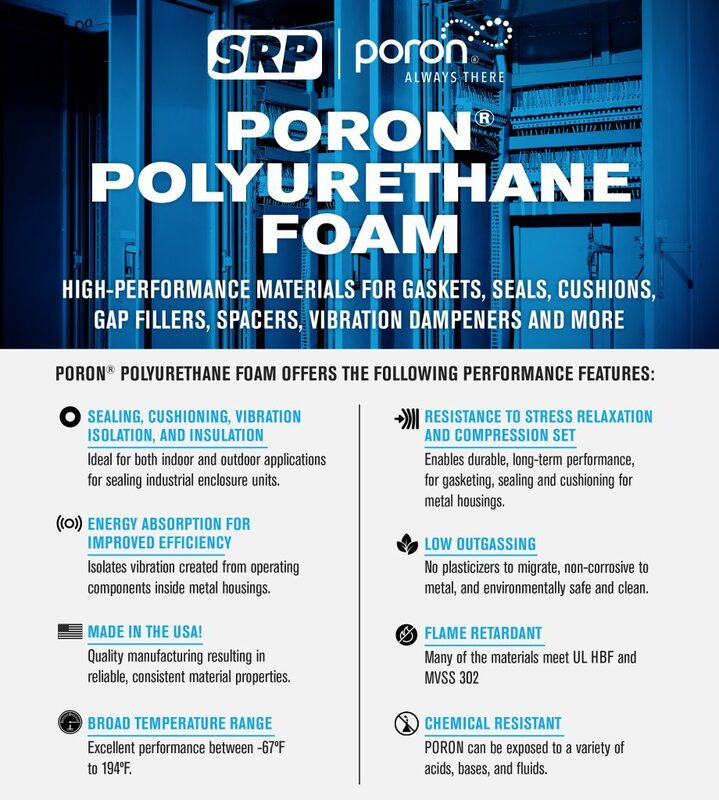 PORON® offers a variety of benefits and SRP offers products in custom gaskets, seals, heat shields, and more. This microcellular urethane is a high performance material, and be supplied adhesive back with a pressure sensitive adhesive. Excellent compression set resistance, which enables durable, long-term performance for gasketing, sealing, and cushioning. Why Choose SRP for Custom Rogers PORON® Polyurethane products? Since 1951, SRP has served a number of industries. We supply gaskets, heat shields, insulators, isolators, and other related products to electronics, defense, energy, medical, transportation, microelectronics, and other industries. In addition to Rogers PORON® microcellular polyurethanes, we also supply Rogers BISCO® silicones. Both materials can be laminated with pressure sensitive adhesive for custom gasketing and sealing options for a wide array of industries. SRP is also a Preferred Convertor for Rogers’s materials. Do you have questions about PORON®? Feel free to contact us.